Disk failure testing can be an integral part of a Proof of Concept, you want to ensure that Virtual SAN behaves in the correct way right?? 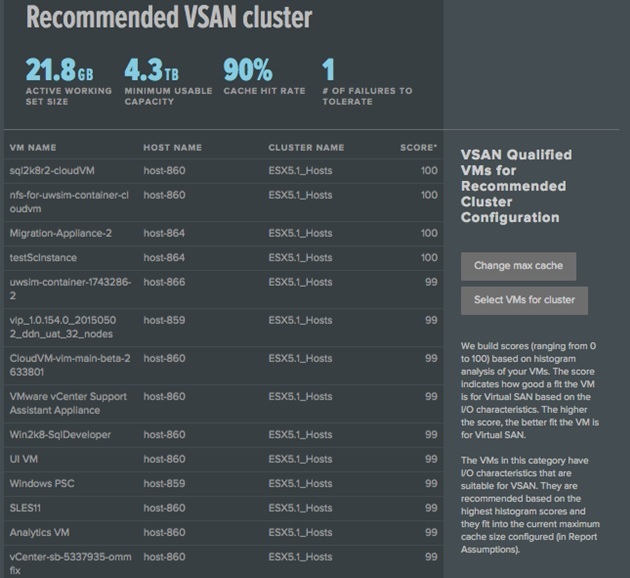 In this post I shall talk about how to successfully perform disk failure testing on LSI Based RAID0 controllers in order to help you validate the behaviour expected from Virtual SAN.? Before I do that, I have seen many instances where people are attempting to simulate a disk failure by pulling a disk out of the backplane slot and not seeing what they expect to be expected behaviour, pulling a disk is not the same as an actual disk failure, Virtual SAN will mark a pulled disk as absent and will wait for the value of ClomRepairDelay (which the default is 60 minutes) before starting a rebuild of components residing on that disk.? With a failed disk Virtual SAN will rebuild components residing on that disk immediately, so you can now see the expected behaviour in the two different scenarios. In Virtual SAN? 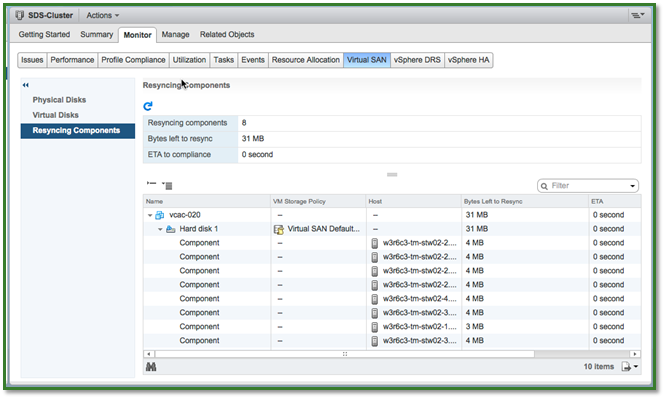 6.0 there is the option to deploy the Health UI Plugin, this plugin for vCenter has a secondary routine that will deploy out components onto the ESXi host to allow them to report back to the the plugin on any issues that are seen, another part of this is the Error Injection routine that allows the user to inject a temporary or permanent device failure and also clear the injected error, for details on how to use the error injection, please refer to my post on Using the Error Injection Tool in the Virtual SAN 6.0 Health UI plugin to simulate a disk failure, for VSAN 5.5 users this feature is not available. Above are just a few examples of things that you can do using the command line tools.? Depending on who the OEM is for your LSI Based card, you would either use StorCLI or MegaCLI, we will cover both command sets for performing the same operation, for the cross references, I used this document from LSI, So which command option do we use to simulate a disk failure? The obvious choice would be to set a RAID virtual disk or a Physical disk into an Offline state, before I seen the behaviour of doing this first hand I would have agreed 100%, however after seeing what happened after doing this made me look further at other options of achieving the same thing, but the question you may be asking is why would this not work? 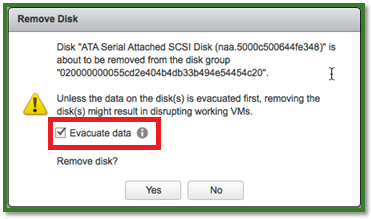 When placing a RAID disk or Physical disk into an Offline state, what I observed in the ESXi logs is that there was no SCSI sense codes being received by the host from the controller, I could see a Host Side NMP Error of H:0x1 which equates to a No-Connect and the action from that is to failover, the disk was marked as Absent in the Virtual SAN UI but not failed, so obviously this is not what we wanted to achieve.? After a bit more digging and testing I finally stumbled across an option which after testing a few times resulted in the correct behaviour, so what was the option? 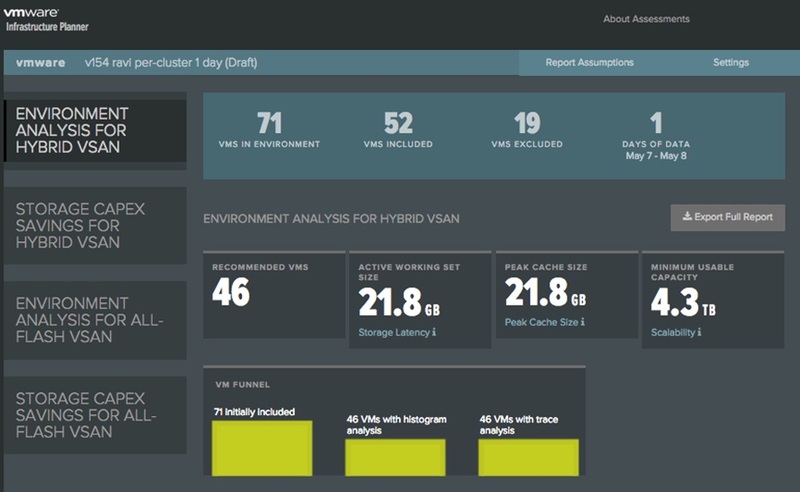 Once the results are analysed with VMware/Partner and the Customer a definitive specification of cluster capacity and size can be easily achieved based on these results.